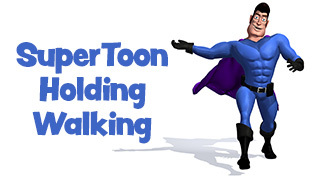 Our hero, holding and walking SuperToon. 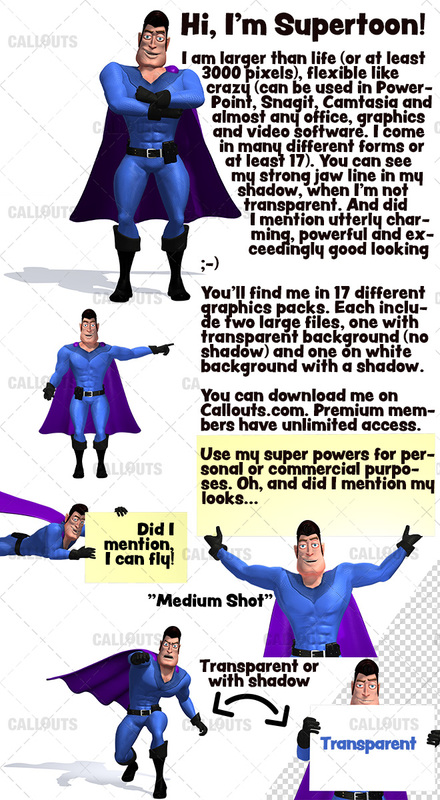 You’ll find me in 17 different graphics packs. Each include two large files, one with transparent background (no shadow) and one on white background with a shadow.